NEW YORK—Landmarks and historic districts make New York distinctly different from other cities across the nation. These buildings, some centuries old, now cover nearly a third of Manhattan, but most if not all have been adapted to cater to modern needs while preserving the aesthetic and stories from the city’s past. “Individual landmarks are the exclamation points of NYC’s history. Historic districts tell the fuller story of the evolution of the city,” says Richard Southwick, director of historic preservation at Beyer Blinder Belle. The international architecture firm was created during the urban renewal of the United States, and many of the firm’s partners have helped shape the city. Sympathy is key to working with landmarks, according to Southwick, who participated in projects like the resotration of City Hall and Lincoln Center for the Performing Arts Josie Robertson plaza. It’s the opposite of the mindset in designing a new building–a view from the center looking out–restoring a landmark requires, instead, looking introspectively at the site. The existing structure provides clues to what will be important in its restoration or redesign, Southwick explains. He weighs the modifications in scale, rhythm, proportion, and materiality, and strives to create a sympathetic design to the original building. To lose a landmarked structure or district, Southwick says, would erase physical evidence of the city’s legacy. His interest in landmarks as an architect comes from lessons learned many years ago. “The richness of architectural detail and language found in historic buildings is very hard to achieve in all but the best designed and executed modern structures,” Southwick said. The level of ornamental detail is not something done often in modern buildings, Southwick explained. Traditional building arts and design incorporate higher complexity, based on multiple layers of meaning “be it mathematical (Palladio’s theory of harmonic proportions), symbolic and expressive (Saarinen’s TWA Terminal at JFK) or figurative and didactic (Ghiberti’s Duomo Baptistry doors in Florence),” Southwick added in an email. “The art of building more decorative works, plaster, metal, woodwork is a lost one, often difficult to find the skilled craftsman to construct to the same level of ornamental sophistication,” Southwick said. That the buildings are so well designed leads to their longevity as well, as the familiar structures of the city are repurposed to fit its current needs. An industrial structure can be turned into a restaurant complex, and a sugar refinery can be turned into thousands of new units of housing. Awaiting mayor Bill de Blasio’s major plan on addressing the city’s housing needs, many elected officials have brought up worries that there comes a point where too much of the city is has been landmark designated–thus preventing new development, new housing. Landmark preservation is by nature at odds with development to some degree. 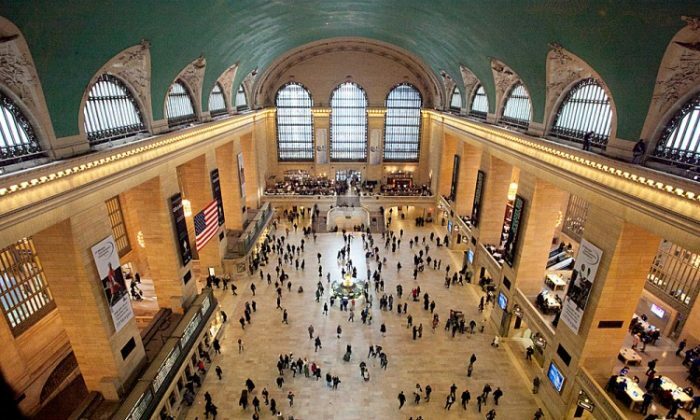 The law was enacted in 1965 after the Beaux Arts-style Pennsylvania Station building was demolished to make room for Madison Square Garden and the underground commuter rail station. But that is not to say landmark preservation is meant to discourage development. It does, however, create another check-point for those who want to work with structures the city does not want to lose. The city’s planning process is already a detailed maze of bureaucracy–though one can always build something on a property not landmarked. Building as-of-right means developers simply need the right permit. By comparison, New York City has 10 times the population and seven times the land area of San Francisco, but reviews only a quarter of the number of building projects. This isn’t because San Francisco builds more, but because the West Coast city’s code requires more review than any other city. The landmark designation creates an extra layer of difficulties–lengthy review sessions, endless applications and revisions–things officials hope the mayor’s ambitious plan and yet-to-be-appointed incoming Landmarks commissioner could address.